It is a very sad and stressful time when a pet gets lost. 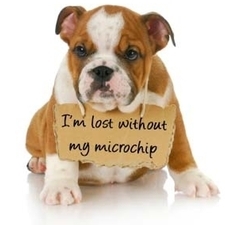 If your pet has a microchip, that is the best way to ensure that you and your pet can be reunited. We can implant a microchip under the skin of your pet with a sterile needle. This can be done at the time of spaying or neutering when the pet is under anesthesia, or can be done during an office visit. This chip can be scanned by shelters or veterinary hospitals, and can provide the contact information to get your pet back to you. 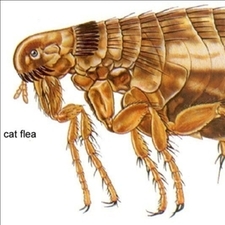 Fleas and ticks are parasites on the skin of your pet that can cause serious skin irritations and sometimes transfer diseases, such as Lyme disease. The use of a topical or oral preventative medication on a regular basis can stop and treat these infestations. Ask one of our doctors which is the best treatment option for your pet. Heartworm disease is a parasitic disease transmitted by mosquitoes that bite your dog. The larvae migrate into the bloodstream of your dog and evetually reach the heart and major blood vessels causing serious disease. 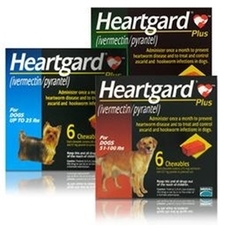 Heartworm can be prevented with a monthly dose of Heartguard Plus or other heartworm preventatives. Protect your pet from this deadly disease.